You are at:Home»iPhone»Display»My iPad Screen Is Blurry! Here’s The Real Fix. Your iPad’s display looks a little blurry and you’re not sure why. No matter what you try, you can’t clearly see anything on your iPad. 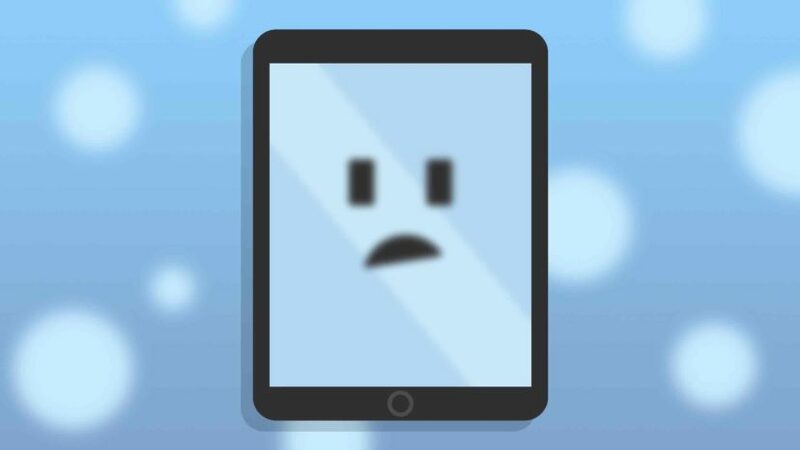 In this article, I’ll explain why your iPad screen is blurry and show you how to fix the problem! The first thing to do when your iPad screen is blurry is to turn it off and back on. This can sometimes fix a minor software bug that could be making the display appear blurry. To shut down your iPad, press and hold the power button until slide to power off appears. Swipe the red power icon left to right across the words slide to power off. Wait a few moments, then press and hold the power button again until the Apple logo appears to turn your iPad back on. If your iPad’s display is frozen, hard reset it. 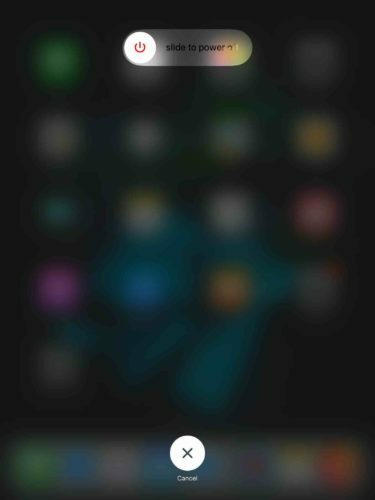 Press and hold the Home button and the power button simultaneously until the screen turns black and the Apple logo appears. Your iPad will turn back on shortly after. Does The Screen Get Blurry When You Use A Specific App? If your iPad screen only gets blurry when you open a specific app, there may be a problem with that app, not your iPad’s display. Apps coded by amateur developers can wreak havoc on your iPad and cause a ton of different software problems. 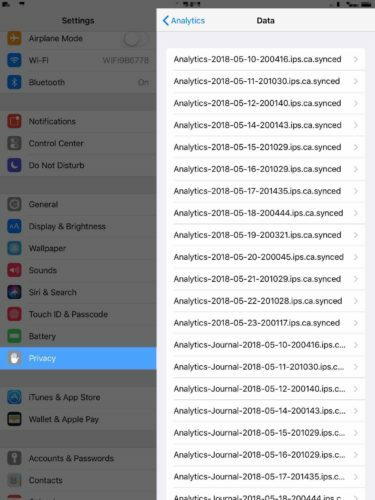 You can check to see if an app is constantly crashing on your iPhone by going to Settings -> Privacy -> Analytics -> Analytics Data. If you see the name of an app listed here over and over again, it could indicate a software problem with that app. The fastest way to fix software problems with a troublesome app is to delete it. You could try reinstalling the app afterwards, but you’re probably best off finding an alternative. Lightly press and hold the app’s icon on your iPad until a small X appears. 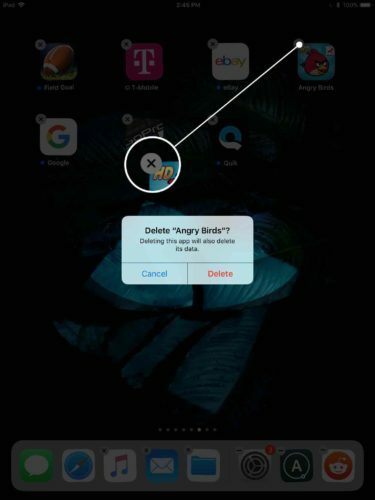 Tap that X, then tap Delete to until the app on your iPad. Does The Screen Get Blurry When You Stream Videos? 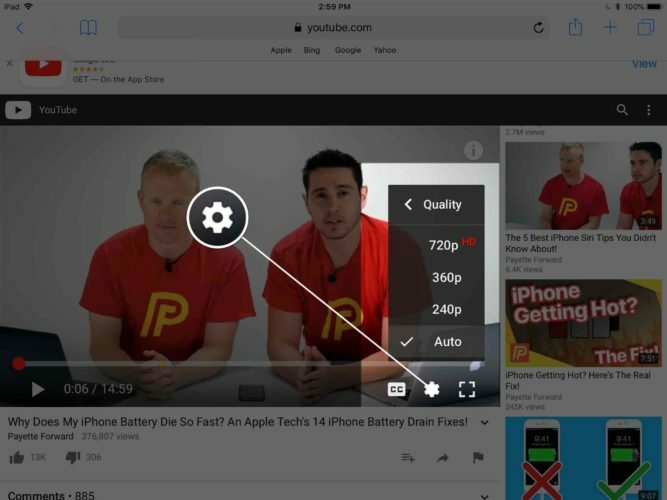 Often times, your iPad screen only gets blurry when you’re streaming videos. Most of the time, this is the result of a low-quality video, not an issue directly related to your iPad. Unfortunately, there’s much you can do if your internet speeds are slow other than restart your router or upgrade your internet plan. When possible, stream video using Wi-Fi instead of cellular data for more reliable stream quality. Video quality settings can usually be adjusted within a video streaming app. For example, you can tap the settings button (gear icon) and choose what quality you want to watch the video in. The higher the number, the sharper the video will be! A DFU restore is the deepest type of iPad restore. All of the code on your iPad gets erased and reloaded, restoring your iPad to its default factory settings. This step allows us to completely eliminate the possibility of a software problem on your iPad. If your iPad screen is still blurry after a DFU restore, you’ll probably have to get it repaired. 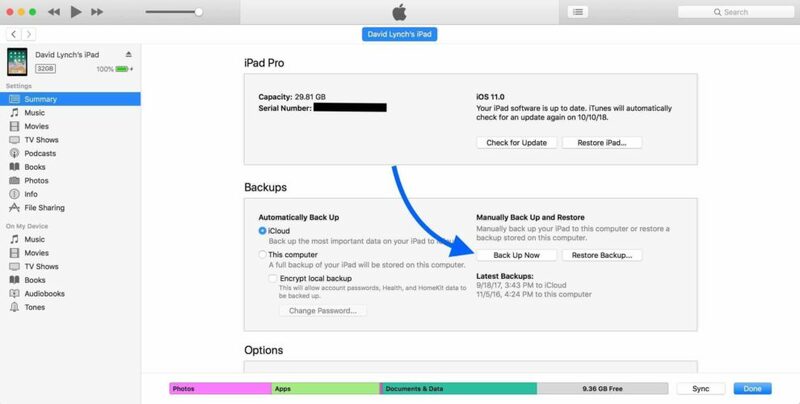 Before putting your iPad in DFU mode, make sure to create a backup so you don’t lose any of your data or personal information. Plug your iPad in iTunes and click the iPad button near the upper left-hand corner of the screen. Then, click Back Up Now. Now that you’re ready, check out our iPad DFU restore walkthrough to learn how to put your iPad in DFU mode! It’s time to start exploring repair options if your iPad’s display is still blurry. Your first trip should probably be the Apple Store, especially if you have an AppleCare+ protection plan for your iPad. An Apple tech or Genius will be able to help you determine if a repair is completely necessary. Remember to set up an appointment at your nearby Apple Store before heading in. Without a scheduled appointment, you may wind up spending most of your day standing around the Apple Store waiting for service! We also like to recommend the services of an on-demand repair company called Puls. Puls sends a certified technician directly to you, sometimes in as little as sixty minutes. Repairs from Puls are sometimes cheaper than the price you’ll be quoted at the Apple Store and you’ll receive a lifetime warranty on the repair. Your iPad display is clear again and everything looks great! You’ll know exactly how to fix the problem the next time your iPad screen is blurry. Feel free to leave any other comments or questions you have in the comments section down below. Previous ArticleMy iPhone Keeps Shutting Off! Here’s The Real Fix. Next Article iPhone “Face ID Is Not Available”? Here’s The Real Fix (For iPads Too)!